At the beginning of my career, the word underrepresented wasn’t in my vocabulary. 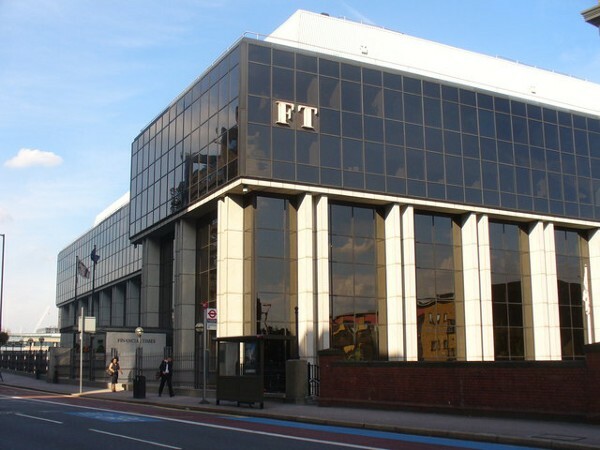 It was summer 2009, and I was a fresh London School of Economics graduate rushing around the Financial Times offices as an editorial intern. As I walked around the newsroom on my very first day, I noticed there were hardly any people that looked like me around. There were few people of color. There weren’t even that many women. Almost everyone was a posh white guy; it was intimidating but unsurprising. All my experiences of London’s corporate world during school and university — from work experience placements to interviews — were dominated by this profile. I’m very grateful to the posh white guys who showed me the ropes and helped me achieve over 40 bylines in my three-month internship, but I’m even more grateful to the people who became my lunch buddies and coffee break pals. They made me feel at home in the office. I found the first few days of my internship pretty scary. I was determined to do well but overwhelmed with information. One terrifying exchange with a very senior editor left me sobbing in a ladies room cubicle. So I found myself — like in all my previous work experiences — seeking out people who I could relate to. These connections gave me the energy to be productive again and enjoy the hard work. I hung out with people on the graduate scheme. I hung out with other people of color — many of whom were involved in the Pearson diversity scheme that helped me secure the internship. I hung out with another woman from other departments within the newspaper. In the company of mixed groups, I felt less like the outsider and more like myself. We made an effort to get to know each other, and around them, I felt safer and more relaxed. I felt like I could be myself, ask questions without fear of embarrassment and learn and blossom. When I transitioned into the tech world, the word underrepresented still didn’t register. 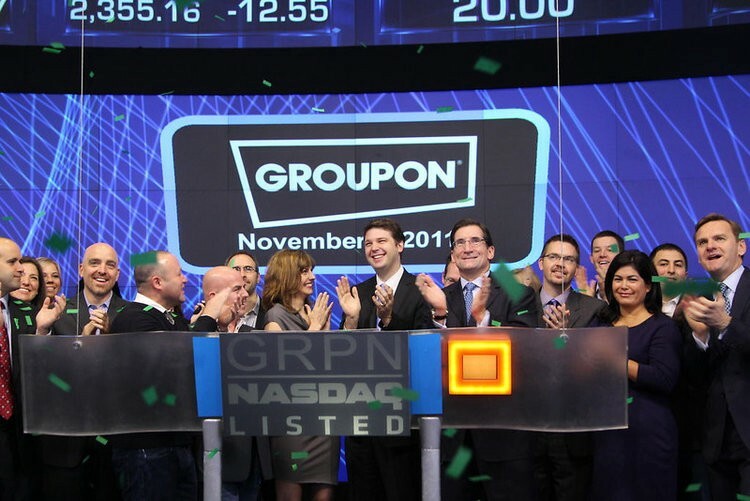 My first tech job was a role in Groupon’s burgeoning London office a year before the record-breaking IPO. Forbes had just named us the fastest growing company ever. Promoted to a team leadership role after my first eight months I was managing a team of 4, then 5, then 10. I was 24 years old. As a high-growth London-based tech startup with lots of international managers, we hired more and more people each week. And we had amazing diversity across some intersections — different nationalities, ethnicities, socioeconomic backgrounds, religions and sexual orientations. But the leadership teams were mostly male. I noticed male colleagues getting away with behavior that many of us women found unprofessional. I noticed male team leaders in my department adopting aggressive management tactics with their teams to significant effect. When I copied them with my team, I was labeled “scary.” Literally. A direct quote from the company’s first round of 360 feedback. When I questioned my team later at the pub, one of my direct reports said that he used to find me scary, but then he started thinking of me as a guy, and that made it OK. The rest of the team nodded in agreement. I started to wish there were more women in the room, as leaders, and as individual contributors, to help me fight against these ridiculous beliefs and misconceptions. Most of my headspace that week was spent digesting this information and stoking the frustration burning inside me. It was valuable mental and physical energy that could have been far better spent helping my clients, solving problems, and making the company money. I started to realize what it meant to be underrepresented and the real opportunity cost a lack of diversity and inclusion creates. When you as an employer have an office environment where minority groups are not treated as equals by every employee, you create an additional burden for them. The time and energy they should be spending on their job are instead consumed by the annoyance and discontent of being treated differently. Instead of having the liberty to just get on with their work uninterrupted, they are fighting battles. They may be answering questions about their culture or identity when they should be doing value-adding work. They may be thinking about the discriminatory comment a colleague made in jest when they should be doing their work. Worst of all, they may be thinking about which of your competitors would offer a more inclusive working environment when they should be doing their work. Avoid this attrition and drop in productivity by investing in diversity and inclusion efforts. Amplify the voices of the minorities in your teams. Collaborate with external organizations and communities to run educational events. Treat it like a journey of enlightenment, not a box to check. This is why the Hustle Crew mission is so critical to me; there is no level playing field for workers until inclusion is achieved. I feel fortunate to be working at Product Hunt / AngelList now. It’s a company that values inclusion and makes it a priority — if only every employer could act this way, too. If you enjoyed reading this, please share the link with your network and leave a comment below. You can hear more from me on my podcast Techish and find out where I’m speaking next on Twitter. This was adapted from a post that originally appeared in the Learnitect blog. Abadesi Osunsade is co-founder and chief community officer at Elpha (YC 19), a private network for women in tech. She's also the co-host of the Techish podcast and the author of Dream Big Hustle Hard. Previously Amazon and Product Hunt.